Yuri Gagarin will forever be known as the first man in outer space. 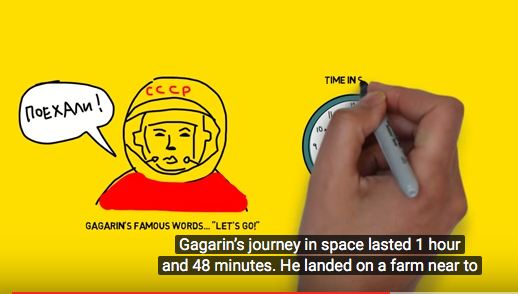 The Russian cosmonaut’s 108 minute journey was the start of his short but eventful second life as an international hero. Here is a nice approach to his story – a real-time animation with voice over of Yuri’s life from ObtainEudaimonia. This entry was posted in Mig15, Nikita Kruschov, Sergei Korolev, The Space Race, Yuri Gagarin, Yuri's life. Bookmark the permalink.